recommended for: Fans of Throne of Glass who want something more complex and diverse, fans of Tamora Pierce, The Winner's Curse by Marie Rutkowski, and Court of Fives by Kate Elliott. Happy release week to Windwitch! 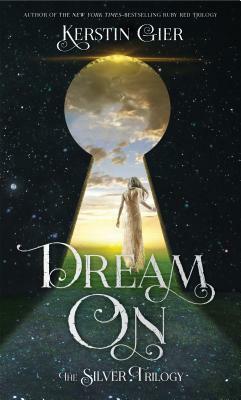 I was lucky enough to read this book early, thanks to Tor Teen, and it was well worth the wait. Susan already had a sensation on her hands with Truthwitch, but its sequel has raised every stake, heightened every tension, pulled every character to their limit, all with razor sharp writing and expansive worldbuilding. Sophomore slump is a thing of the past. Meet Merik Nihar. You don't love him? What's wrong with you!? Just kidding. You're entitled to your opinion. I'll just be sad, because I love this grumpy hotheaded cinnamon roll, especially after his arc in this book. As a counterpoint, we get the POV of his sister, Vivia, villain--OR IS SHE!? The deadly sibling rivalry between them is the thread holding this story together. Betrayals. Secrets. Conspiracy. Uncertainty. Merik's blind rage and Vivia's brittle facades. Both of them grow tremendously throughout the story and become complex people you want to read more about. Our other leads aren't the cover star, but Sooz doesn't skimp on their stories. Safi is hobnobbing with Vaness in the east, coming across pirates and Hellbards as they go. Aeduan and Iseult are thrown together to protect a strange child and have some spectacular, spine-tingling sexual tension. Susan shifts the POVs seamlessly back and forth. The voices of her characters are stronger and more distinct than ever. New side characters get some screentime too. There's Cam, Merik's crewmate, who keeps him grounded and and is struggling with their own identity. There's Stix, Vivia's best friend--and more? Vivia's father, infirm and bending Vivia's emotions to his will. Caden, the mysterious Hellbard. And Owl, the silent little girl with unusual gifts. Cam was a little too chipper for me and Caden was too guarded this book for me to get a sense of him, but I look forward to seeing how they all grow. With so many characters and subplots, it's no wonder it's a complex book. Reading it was like watching an episode of Game of Thrones. So much happens and yet, by the time it's over, you're wondering how so much time could have passed! The plot is ever shifting and explosive, with crisis after crisis and so many shocking twists that I was getting whiplash. Plus, the worldbuilding runs even deeper in Windwitch, introducing us to new lands, fleshing out the magic system, teasing more hints about the Puppeteer, and solidifying the Witchlands as a lush and vibrant world worthy of exploring. This whole package is tied into a neat little bow by Susan's sharp writing. Her voice has grown more polished and precise since the first book. There's a mastery of word choice, a vibrancy of description, a frenetic energy that rips you along breakneck and makes you feel vivid and alive. Each character has these internal refrains that echo across chapters, tying the story together just like Iseult's threads, giving it a literary and old epic feel. Plus some wicked snarky dialogue. I was utterly entranced. The only downside is a long wait until book three. That's pretty good for a flaw. 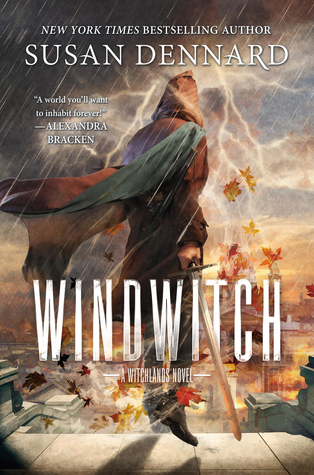 Windwitch is a breakneck, epic addition to a series that promises to be a fantasy classic. will i read this author again? Lol. Is that even a question? will i continue the series? Can I has now? Note: I received this copy from the publisher in exchange for an honest review and for participating in the street team. The price of the book and its origin in no way affected my stated opinions. Hahah waiting for book three is a pretty good flaw. I will have to read this at some point, but it is on my shelf and ready to go! Just like last year, I have heard nothing but good things about this book. And I read Truthwitch much much earlier. Hopefully I'll be able to remember everything! Your review was excellent, and I am so excited to step back into this world.